As many of you know, our Commission recently chose to postpone a bear hunt for 2016 (see the news release here: http://myfwc.com/news/news-releases/2016/june/22/bear-management/). Throughout the discussion of this controversial issue, with thousands of online survey submittals and more than five hours of public comment, FWC did an exceptional job providing state-of-the-art scientific advice to our Commissioners. FWRI, led by Walt McCown, Brian Scheick, Don Hardeman and a host of other FWC staff from HSC, HGM and elsewhere completed a statewide abundance survey in only two years. This first of its kind survey was a phenomenal undertaking and combined with the analytical support of Dr. Joe Clark and his students at the University of Tennessee represents what many consider to be the most rigorous assessment of a statewide bear population anywhere in the country. 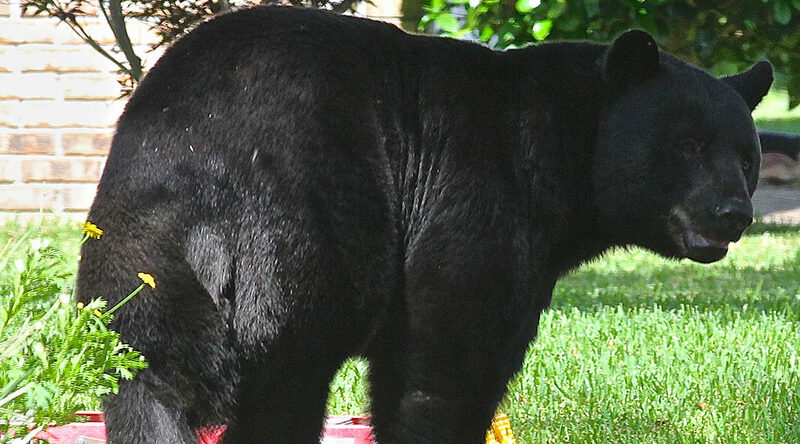 FWC also convened an expert panel made of up some of the nation’s top bear biologists. Their input helped frame the staff recommendation for a modified hunt in 2016. However, it is important to realize that bear management is complex, and that the number of bears in the state is only one factor that needs to be considered. Among other things, the Commission has made tremendous strides in working with local governments and waste management companies to increase the use of bear-proof trash cans which is the surest way to reduce human/bear conflict. I realize and appreciate the fact that there are many views on this subject, even among our own staff, but this issue emphasized the fact that as scientists our role is provide our Commission with the highest quality information to base their decisions on. Those decisions must ultimately take into account a number of other things such as public safety, the status of related conservation actions, and the desires of all of our stakeholders (non-hunters and hunters alike). I wanted to share a letter that our Chairman, Brian Yablonski recently sent to our partners at Bass Pro Shops which lays out the issue well. I understand questions continue to arise regarding FWC’s recent decision to postpone bear hunting this year. We greatly appreciate the leadership role Bass Pro Shops plays in conservation efforts across the nation. We also value our strong partnership with Bass Pro Shops on important conservation efforts in Florida. In fact, we see your customers as our customers, particularly within our hunting community, and we want to make certain you and your great team in Florida have full background and context on the bear hunting decision. Please feel free to share the following message to help folks better understand how we arrived at this decision and how we see the path forward. FWC commissioners understand that many hunters are disappointed that we are not having a bear hunt this year. We want hunters to know that we are doing our best to work through a complicated issue that has implications for hunting into the future and certainly beyond bears. We take such implications very seriously. Myself, my fellow commissioners, and FWC staff have firmly and consistently supported hunting as an essential element in the North American Model of Wildlife Conservation. On a personal note, I have publicly spoken and written extensively in defense of hunting and the North American Model of Wildlife Conservation. The vote to postpone bear hunting does nothing to diminish this position, and we plan to move toward a hunt in 2017. The decision to pause bear hunting is simply a timing and a policy call. The science is sound. Our biologists are the best in the nation. They have full support and appreciation from every Commissioner, and they know this. And we are aware that those who oppose hunting on principle will not likely change their views. They will always protest regardless of how well we demonstrate the importance of hunting for responsibly managing bear populations. I don’t believe, however, these views were a significant factor in the decision. What is a major concern, however, is the view of the vast majority of Floridians who are non hunters but are not “anti hunting”. They don’t hunt, but I believe they understand and appreciate hunting deer, turkey, alligators, waterfowl, etc. And then there are more than a few Floridians who do hunt birds or deer, but who have concerns about bear hunting. At this point, we need to do a better job making our case to all of these people. We need to take some time to listen and then work to foster understanding and support. We need to bring people together and in the words of one of our bear biologists, build off an excellent bear conservation foundation. We need to continue and expand work with communities on conflict bears and trash management and have that effort catch up with hunting. We need to build on our strong scientific basis for bear hunting in the year ahead, taking it from a gold standard to a platinum standard to help reassure a broader segment of the public. We then need to translate broader understanding and acceptance into momentum for hunting as responsible management method. These efforts are not intended for those who will always oppose hunting in any shape or form, but for ordinary Floridians who are trying to sort this all out. This is something good we can do for hunting lest we forget that we are a tenuous minority in the state. Unlike other issues we deal with (and trust me on this as a commissioner who hears it from everybody), this is not just hunters versus anti hunters. A lot of folks in the middle need to catch up on this, and we have a responsibility to get them there. Our scientists made a recommendation to hunt, but they also understand and appreciate these points. Our wildlife managers need time; a gift in this case. And those who follow our Commission meetings know there are plenty of times where we have been more conservative in our management decisions relative to the recommendations from our scientific staff. Taking a pause for a year doesn’t create a crisis or violate science. Each commissioner made it clear in their remarks that they support hunting as a tool for bear population management. On behalf of FWC commissioners and staff, I am hoping we can think about the big picture and the longer term as we work together through this complex conservation challenge.